San Marcos, CA vinyl windows haven’t always been seen in a positive light. In fact, when they first came onto the scene, some homeowners didn’t like their appearance or thought they were cheap and low in quality. Today, vinyl windows have a huge list of benefits that make them the most popular choice in the window industry. Thanks to modern technology, there are a variety of reasons why these windows are so popular. They’re simply a superior window material! Here are just 5 of the ways vinyl windows can benefit your San Marcos, CA home. Yes, it’s true—vinyl windows are going to cost you money up front. However, they are highly energy efficient and an excellent long-term investment. Because they are so high in quality, they add value to your home so when you sell, your home will warrant a higher valuation than if you did not have vinyl windows installed. You’ll be able to pay yourself back for your investment in the long run because of what you save in utility bills and because of the higher home value. When was the last time you thought, “Gee, I’d really like to spend the weekend on scraping and painting, if I could”? Um, never, right? No one enjoys home improvement projects like that! If you have wood windows on your home, there will come a point where you have to paint and scrape. But new vinyl windows won’t allow you to have the luxury of that chore (insert sarcasm here). With low to no maintenance on vinyl windows, all you need to do is wipe them down on occasion to keep them looking nice. 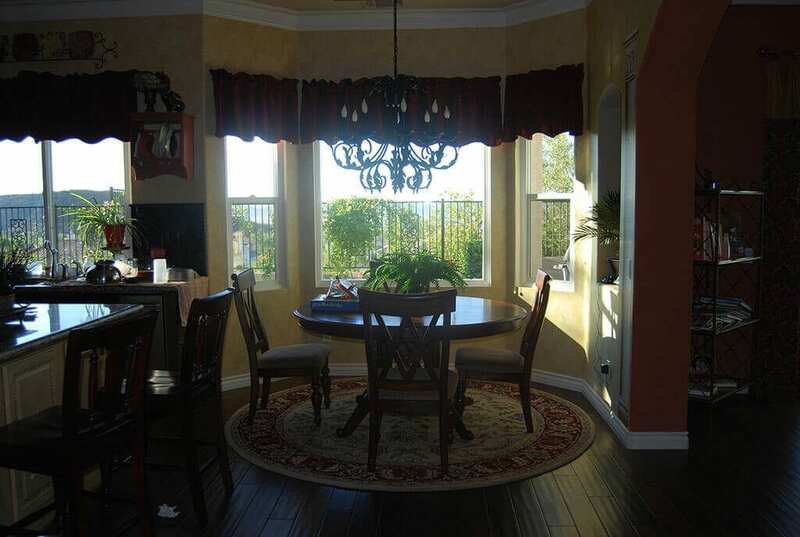 All you really want is to be comfortable in your San Marcos, CA home and you can have what you want with replacement vinyl windows. These windows have a strong seal and keep the warm air out in the summer. You don’t have to worry about your cool air escaping, either and you’ll have an airtight seal that keeps your temperature more consistent without messing with the thermostat all the time. Vinyl is a huge insulator and won’t transfer heat from outside to inside through its material, unlike other windows. You won’t have to force your HVAC system into working overtime to keep you cool during the hot summer months, which keeps those bills down where they belong! When you install new vinyl windows, you want them to last—and they will! Vinyl windows maintain their beauty, function and overall fresh appearance for many years, even if they are up against harsh weather conditions and heavy use. 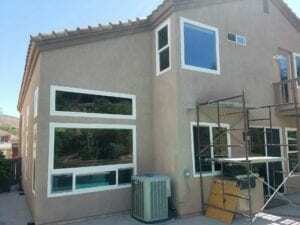 Vinyl windows in San Marcos, CA might not have had a good reputation at first, but they are an excellent option for windows now. Contact the trusted professionals at Andy’s Glass & Window Company by calling 951-677-7421 or visit us at 25751 Jefferson Ave Murrieta, CA 92562.